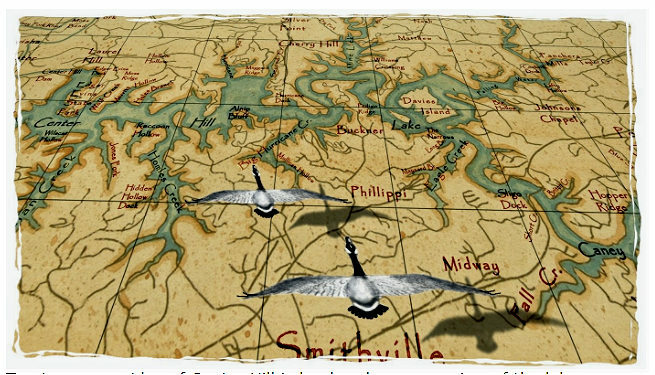 I often receive nice emails back from folks who have purchased one of my maps. It certainly makes one feel good when you get a comment like this one from a customer who purchased a Center Hill Lake Decor Map. 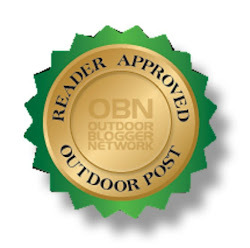 "We received it yesterday and it is absolutely beautiful and perfect. What an artist! And I found the mermaids, finally! 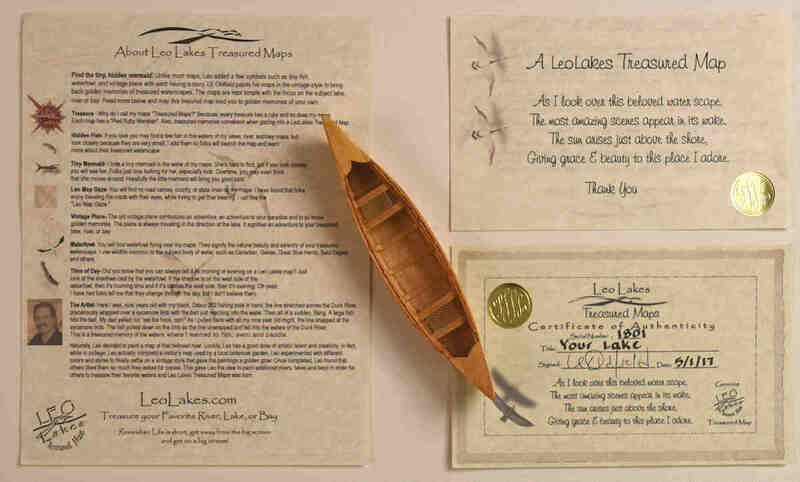 Thank You for an amazing work of art." 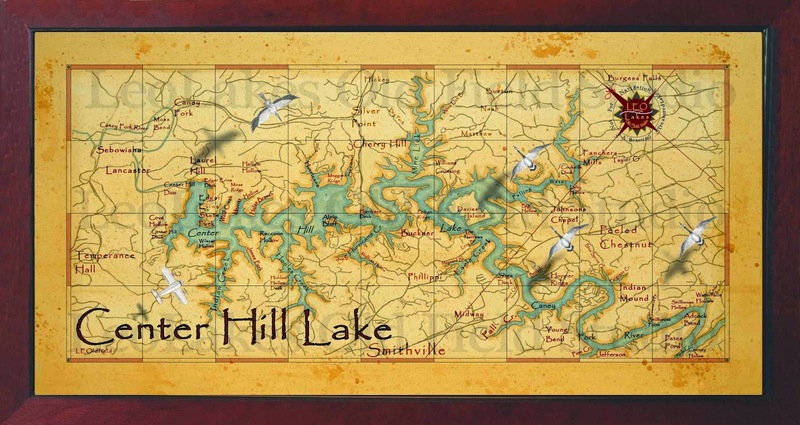 The Center Hill Lake Map has a nice vintage style look. I add waterfowl common to the lake flying over to give the map interest. I also include A few small fish and a tiny little mermaid. 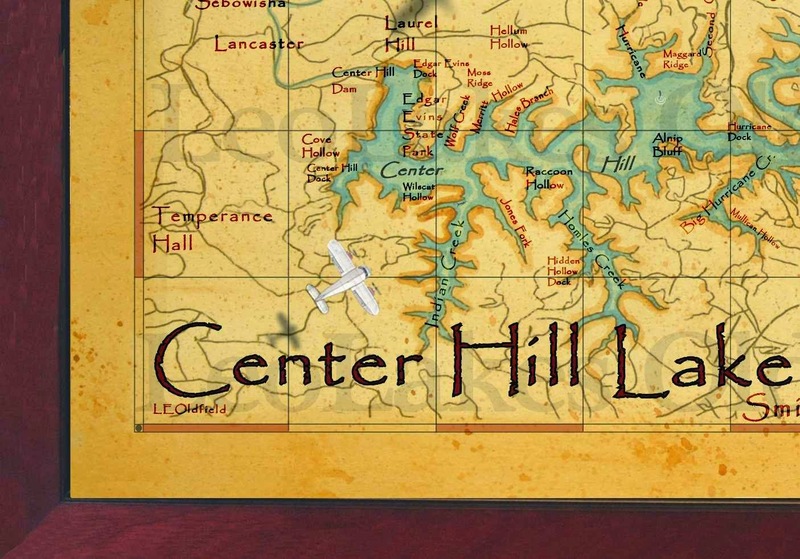 I've added a close up section to give you an idea of the detail that I include. 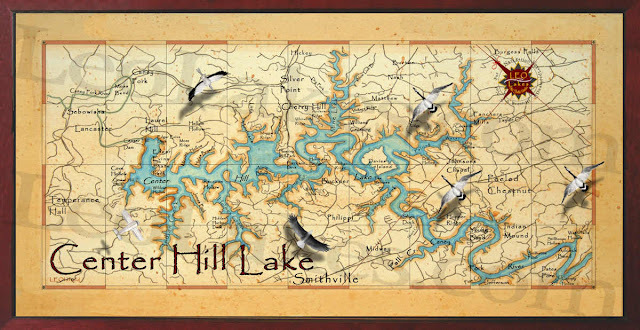 I have many folks who purchase my maps for birthday, fathers day, Christmas, lake house warming, and wedding gifts. 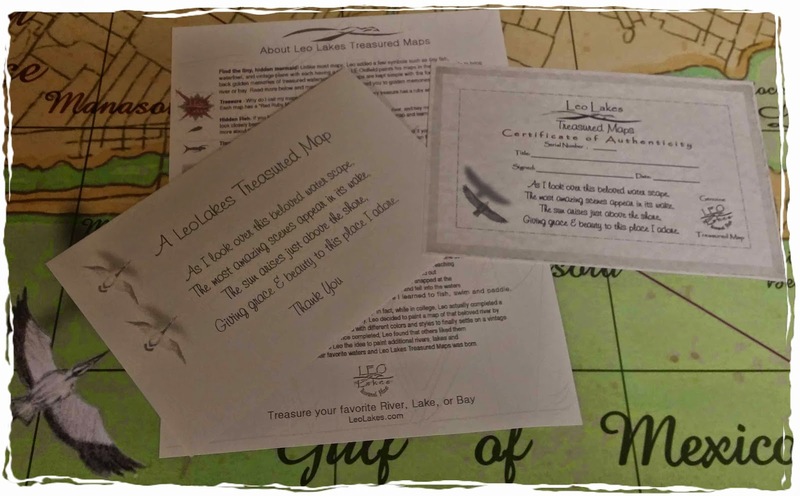 All maps 16x32 size and above, come with a Certificate of Authenticity, a poem, and a sheet covering interesting facts about your LeoLakes Decor Map. Here's the wonderful lake poem that my wife wrote about lakes, rivers, and bays. "As I look over this beloved waterscape, The most amazing scenes appear in its wake, The sun arises above the shore, Giving grace and beauty to this place that I adore." Do you kiss the first fish you catch?